If you want a boring, bottom line corporate speaker, Fred’s not your guy. If you want a motivational speaker, well, maybe he can be your guy. But you must realize his forte is drinks history. Fred Minnick offers a variety of corporate talks and tastings. Book him through the Linda Konner Agency. Minnick has led tastings at private dinner parties for world leaders, celebrities and billionaires. He’s also been the keynote speaker for numerous conferences. Follow Fred Minnick’s public appearances on his Facebook event page and the Kentucky Derby Museum. Farm Credit Mid-America, GoPac, Norton Hospital, Janseen BioTech, Motor Coach Industries, GE-Factory Service, Phillips Edison & Co., and Silkorsky Aircraft Corporation. Ambassadors from Philippines, Cambodia, Laos, Malaysia, Brunei, Indonesia, Thailand and Myanmar). Furthermore, Minnick creates bourbon programming for concerts, charities and corporate events to engage people with bourbon in new and fun ways. He believes in truly educating people about what they’re drinking. 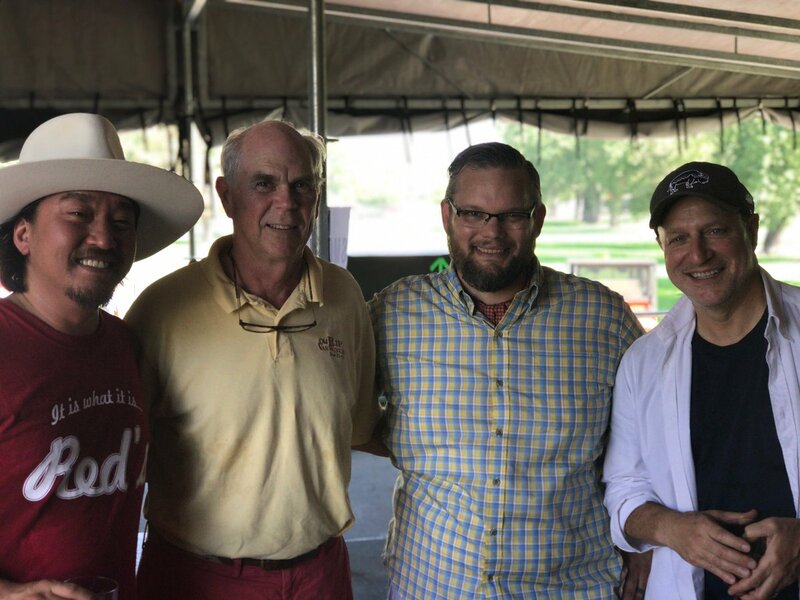 After presenting with them at Bourbon & Beyond, Fred hangs backstage with, from left to right, chef Edward Lee, Julian Van Winkle and chef Tom Colicchio. Bourbon & Beyond: Fred was the bourbon headliner among amazing culinary and musical talent, such as Stevie Nicks, Steve Miller Band and Eddie Vedder. He returns with Bourbon & Beyond in 2018.